Years after Marla Jean Clinesmith left the studio art world to work full-time in ministry, it was ancient Hebrew that brought her back to art, combining both of her worlds. 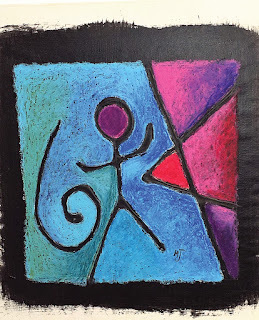 Anyone familiar with the modern Hebrew alphabet has to adjust the frame of reference — her art uses the ancient forms of the Hebrew letters, but the Hebrew Word Pics website gives plenty of explanation about each of the ancient letters, and what they connote. Clinesmith worked in museums and galleries until the mid-1990s, when she helped coordinate Promise Keepers, and is now executive director of Kingdom Building Ministries, a Biblically-based personal leadership training. Two decades ago, the Clinesmiths met Jim Woodard, who left the oil and gas industry after 25 years and started the non-denominational church, The Crossroads, in Belle Chasse in 2001. 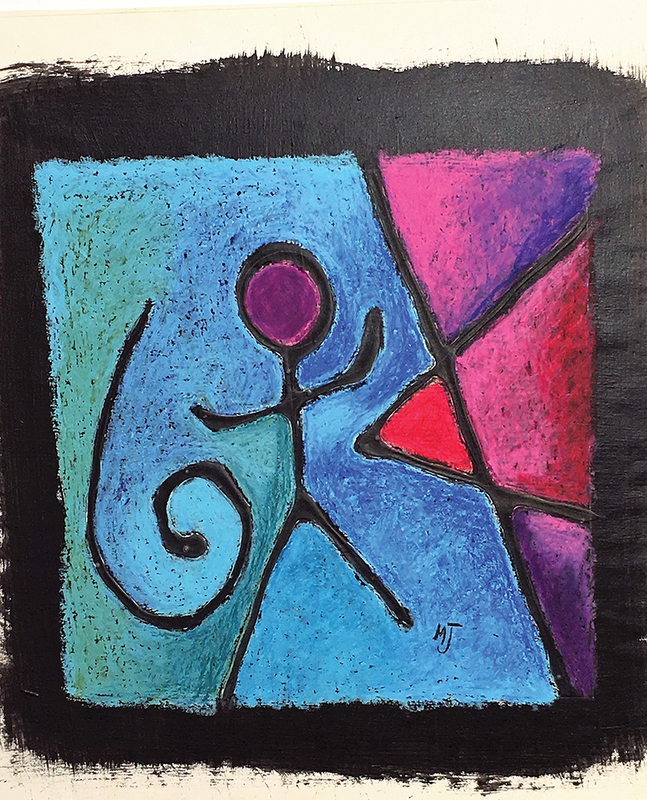 While listening to Woodard teach about ancient Hebrew, Clinesmith started seeing the letters in her mind, with numerous colors and juxtapositions. She started doing pastel drawings of numerous words from the Jewish and Christian traditions, using “God colors” in her work, and the forms of the pictographs to explore the concepts behind them. Each word that Clinesmith has made into a work of art has an explanation page, detailing how each letter contributes to the word’s meaning. “Taken in the proper context, we often find these meanings to be much richer than the simple English word we know and use today,” she said. The site, hebrewwordpics.com, contains original art, prints, greeting cards, mugs and jewelry. There is also a poster of the ancient Aleph-Bet. The jewelry includes Love, Grace and Peace in pendants, bracelets, earrings and rings. A 15 percent discount is offered to Southern Jewish Life readers using the code SJL15.